Despite some initial market indecisiveness, a Melbourne consortium including Lascorp Development Group have sold a Shepparton retail centre for a speculated price of more than $40 million. The 2.2-hectare site is located on Vaughan Street and is currently occupied by a Coles supermarket and a Kmart, with a 561-bay car park that could potentially offer a portion of its size to future retail development endeavours. Coles and Kmart pay a combined annual rent of $2.35 million as part of new 15-year lease agreements. With a reported sales price of $40 million the yield is estimated at under 6 per cent. 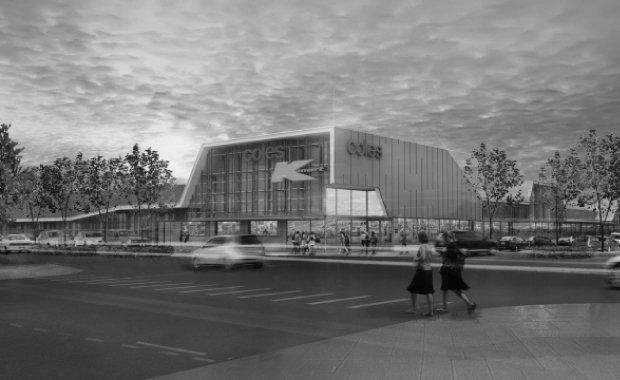 Lascorp chairman Michael Lasky said his investment company as part of the consortium paid $25 million for the Shepparton asset in mid-2012, before undertaking a major refurbishment which included the reconstruction of the main Vaughan Street car park, together with shade sails to 162 marked spaces commenced in late 2012. The Shepparton asset was originally earmarked for sale in May this year, where the consortium launched an expression of interest campaign, however the asset was eventually taken off the market without a sale in October later in 2017. It wasn’t until earlier this month that the asset finally changed hands to an unknown buyer. CBRE selling agent Mark Wizel said that yields for freestanding supermarkets and neighbourhood shopping centres had been "sharpening nationally for the previous two years with the sector attracting both local and offshore buyer interest as a result of continued improvement sentiment toward retail performance". "Since we purchased this property, Shepparton has undergone significant growth, with major redevelopment on Maude and Vaughan streets injecting new life and activity into the CBD,” Lasky said.